Bluehole just drop an update for the PlayerUnknown’s Battlegrounds, one of this update are the new Achievements system. Just like other games on steam, this achievement system will give you goals to complete when you’re playing the game. Guardian Angel – Revive a knocked-downed teammate. Devil Inside Me – Kill 10 players by any means. Pacifist – Reach the top 10 without killing anyone. Health Junkie – Charge your boost gauge to the max with energy drinks and painkiller overdose. Killing Spree – Kill at least 4 players in a single match. You Complete Me – Wear the outfit of a dead player. Marksman Novice – Kill 10 players with an assault rifle and/or a sniper from over 100 meters away. Fantastic Four – Obtain a Chicken Dinner in Squad. First Blood – Get the first kill of a match. QCB Novice – Kill 10 players with a shotgun, a submachine gun, and/or a pistol. Dynamic Duo – Obtain a Chicken Dinner in Duos. Cruising with the Enemy – Get into a vehicle where an enemy player is already in. Winner Winner Chicken Dinner! – Obtain a Chicken Dinner in Solo. Agent 48 – Kill 50 players with a suppressed weapon. Top 10 – Reach the top 10 10 times. Airborne – Jump out from an airplane 101 times. Fury Road – Kill 10 players with a gun while in a vehicle. Ghost – Equip a suppressed weapon in every weapon slot. Let’s find out which weapon suppresse! Don’t Pan Me Bro! – Kill another player with the frying pan. Fast and Furious – Kill 10 players by hitting them with a vehicle. First Come, First Served – Loot 50 items from the carepackage. Trigonometry Involved – Headshot and kill 10 enemy players with a sniper rifle. Shoot the Knee – Kill 10 players with the crossbow. Okay, Now I’m Ready – Equip a Lv.3 Helmet, Military Vest, a submachine gun, and/or pistol. CQB Master – Kill 200 players with a shotgun, a submachine gune, and/or a pistol. 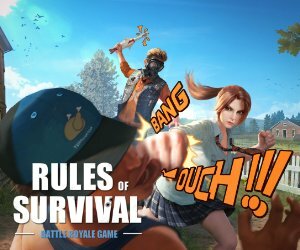 The First Rule Is… – Kill 20 players with bare hands. Collateral Damage – Kill 100 players by any means. Long and Winding Road – Kill 1000 players by any means. Nade King Novice – Kill 10 players with grenades. Nade King Expert – Kill 30 players with grenades. Nade King Master – Kill 50 players with grenades. Marksman Expert – Kill 30 players with an assault rifle and/or sniper from over 100 meters away. Marksman Master – Kill 100 players with an assault rifle and/or sniper from over 100 meters away. CQB Expert – Kill 50 players with a shotgun, a submachine gun, and/or a pistol. Last Survivor – Win a game 10 times. So far, what are the hardest achievement you think on the list? Let us know in the comment section below. Bluehole just drop an update for the PlayerUnknown’s Battlegrounds, one of this update are the new Achievements system. Just like other games on steam, this achievement system will give you goals to complete when you’re playing the game. Currently, there are 37 new achievement systems in PUBG. Here are them: Blood on My Hands – Kill a player by any means Guardian Angel – Revive a knocked-downed teammate. Devil Inside Me – Kill 10 players by any means. Pacifist – Reach the top 10 without killing anyone. Health Junkie – Charge your boost gauge to the max with energy drinks and painkiller overdose. Killing Spree – Kill at least 4 players in a single match. You Complete Me – Wear the outfit of a dead player. Marksman Novice – Kill 10 players with an assault rifle and/or a sniper from over 100 meters away. Fantastic Four - Obtain a Chicken Dinner in Squad. Now You See Me, Now You Don’t – Equip a ghillie suit for the first time First Blood – Get the first kill of a match. QCB Novice – Kill 10 players with a shotgun, a submachine gun, and/or a pistol. Dynamic Duo – Obtain a Chicken Dinner in Duos. Cruising with the Enemy – Get into a vehicle where an enemy player is already in. Winner Winner Chicken Dinner! – Obtain a Chicken Dinner in Solo. Agent 48 – Kill 50 players with a suppressed weapon. Top 10 – Reach the top 10 10 times. Airborne – Jump out from an airplane 101 times. Fury Road – Kill 10 players with a gun while in a vehicle. Ghost – Equip a suppressed weapon in every weapon slot. Let’s find out which weapon suppresse! Don’t Pan Me Bro! – Kill another player with the frying pan. Fast and Furious – Kill 10 players by hitting them with a vehicle. First Come, First Served – Loot 50 items from the carepackage. Trigonometry Involved – Headshot and kill 10 enemy players with a sniper rifle. Shoot the Knee – Kill 10 players with the crossbow. Okay, Now I’m Ready – Equip a Lv.3 Helmet, Military Vest, a submachine gun, and/or pistol. CQB Master – Kill 200 players with a shotgun, a submachine gune, and/or a pistol. The First Rule Is… - Kill 20 players with bare hands. Collateral Damage – Kill 100 players by any means. Long and Winding Road – Kill 1000 players by any means. Nade King Novice – Kill 10 players with grenades. Nade King Expert – Kill 30 players with grenades. Nade King Master – Kill 50 players with grenades. Marksman Expert – Kill 30 players with an assault rifle and/or sniper from over 100 meters away. Marksman Master – Kill 100 players with an assault rifle and/or sniper from over 100 meters away. CQB Expert – Kill 50 players with a shotgun, a submachine gun, and/or a pistol. Last Survivor – Win a game 10 times. So far, what are the hardest achievement you think on the list? Let us know in the comment section below.